China can tap just 10 percent of its wind resources to supply more than a quarter of its electricity by 2030, significantly boosting the global transition to renewable energy, according to an MIT study. 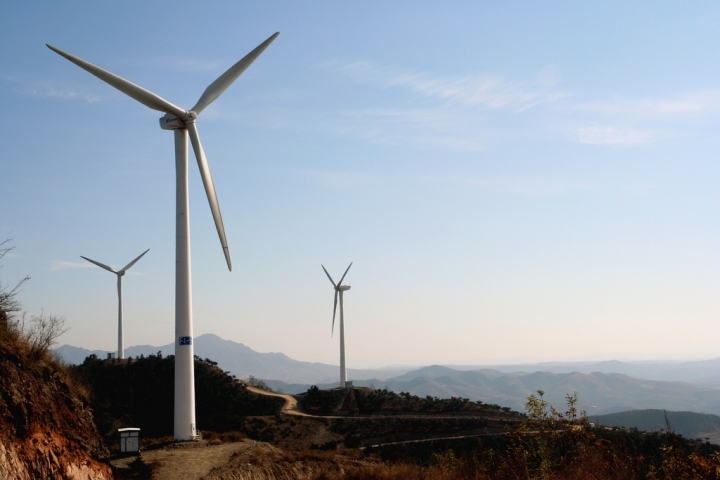 Only 3 percent of China’s power comes from wind today. But if China, which is heavily dependent on coal for its electrical power, continues its feverish wind farm construction boom by building turbines closer to the power grid, the country could theoretically supply 26 percent of its power with wind within 15 years, according to a study published this week in the journal Nature Energy. The study used computer models that simulate China’s power grid operations under different scenarios to project how wind power could be distributed throughout the country through 2030. “This would go a long way toward meeting China’s climate goal of delivering 20 percent of the nation’s primary energy from non-fossil fuels by 2030 — part of China’s Paris climate pledge,” said study co-author Valerie Karplus, an assistant professor of global economics at MIT. China is the world’s leading carbon dioxide emitter and largest consumer of coal for electric power generation, but it’s also leading the world in wind farm construction, in part to help reduce greenhouse gas emissions. Meeting the world’s goal to keep global warming from exceeding 2°C (3.6°F) is impossible without China cutting its greenhouse gas emissions and weaning itself away from coal. As China transitions from an industrial economy to a more service-oriented one, electricity demand and coal use there is falling — so much so that the China’s carbon emissions could peak by 2030. “Wind energy for the most part displaces coal-fired power in China, hence overall emissions will go down significantly,” said study lead author Michael Roy Davidson, a researcher at MIT’s China Energy and Climate Project. Though China built more wind turbines than any other country last year, it remains the world’s second-largest wind power producer, generating 185.1 megawatt hours of wind power — just under the 190 million megawatt hours of wind power the U.S. generated in 2015. China’s total annual wind resources — the electricity that could be produced from all the breezes blowing across its land and waters if it could be fully harnessed — are about 26 million gigawatt hours — or roughly 26 times the electricity India consumes in a year. The study shows that China’s wind farms may be able to harness 10 percent of that wind power potential by the end of the next decade, when total electricity demand is expected to be 10 million gigawatt hours. But China has a problem with its wind power boom — its wind farms have been generally concentrated in remote areas that are among the windiest but not necessarily closest to the electric power grid, which was designed mainly for coal-fired power plants near cities. The study shows that if wind farms were constructed closer to the existing grid but not necessarily in the windiest areas, wind power could be produced more efficiently and can supply more and more of China’s electricity if effectively integrated into the existing grid. Some big policy changes in China may be needed for that to happen, however. The study shows that one of the biggest reforms needed is to reverse a policy requiring a minimum amount of electricity production from coal-fired power plants as a way to ensure the plants are profitable. Reducing the amount of power that coal plants are required to produce would name room for more wind. 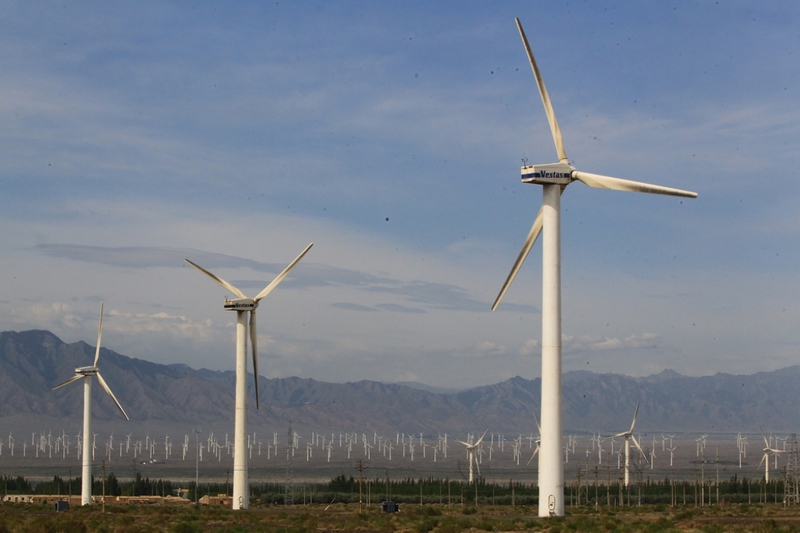 “To integrate 10 percent of this (wind) potential in China requires significant electricity system reform,” said study co-author Da Zhang, a researcher at MIT’s China Energy and Climate Project. Greater electric power policy changes are needed for China to harness more than 10 percent of its wind power resources, including expanding the existing power grid and managing the grid more effectively so coal plants can more easily accommodate the intermittency of wind, Karplus said. Wind’s intermittency — its tendency to suddenly become calm or gusty — is difficult for grids built for coal-fired plants to handle because coal plants take a lot of time to bring online when winds drop, or draw down when winds are gusty. Mark Z. Jacobson, a civil and environmental engineering professor focusing on renewables and climate change at Stanford University who is unaffiliated with the study, said the study is the first to analyze both China’s wind power resources and its ability to integrate that power into the existing electric grid. China is likely to obtain more of its electricity from wind power as the country’s transportation system uses more electricity and less fossil fuel, increasing the demand for electrical power—including wind—easing its integration onto the grid, he said.